From Waikanae to Wellington, Te Araroa becomes a lot more civilized. It wanders through a scenic estuary boardwalk, over a stunning coastal walkway, and along sandy beaches. 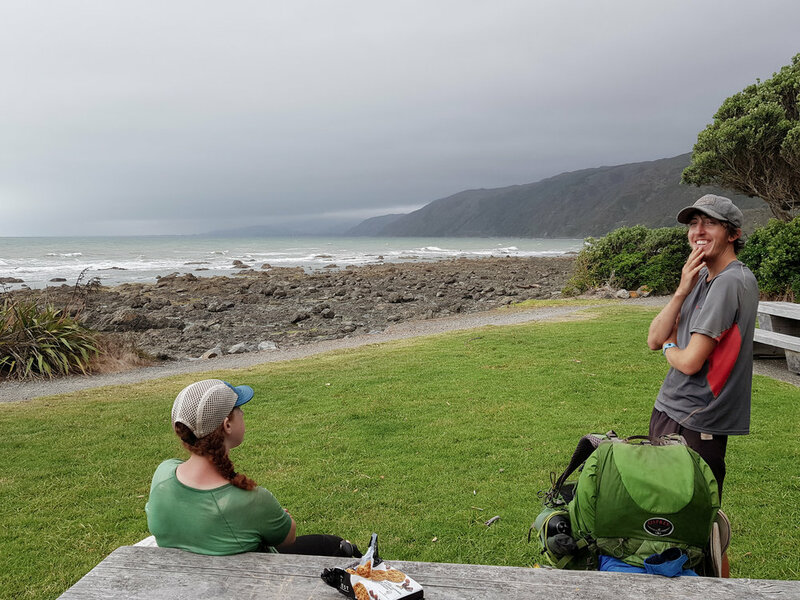 On the first day, we got breakfast before leaving Waikanae, stopped for lunch along the beach, ate ice cream cones in Porirua, then nabbed a pre-dinner pie in Pukerua Bay before camping next to the ocean. Pretty good for 22 miles of walking, I'd say. We had one of our odder camping experiences at a homestay just west of Wellington. Our host was an older gentleman, Alan, who met us in a dressing gown of some sort and apologized for being in his pajamas, though it was well after 4pm. Later, he found us drinking tea and offered us a "digestive" (sort of like a sweet cracker) because "that's what the queen has with her tea" (he was originally from Singapore and spoke with a distinct British accent). There were several other random people, clearly not hikers, who'd been living in the garden there for an indeterminate length of time. In the shower, there was a lengthy treatise on why one should dry oneself inside the shower and definitely not outside ("...you could even put your shirt on inside the shower and it would keep you nice and warm"). Unlike Auckland, Wellington does not sprawl for miles and miles. It is a smaller city, about 400 thousand people, tucked away at the southern tip of the North Island and bordered by water to the east and south. To the north and west of its small downtown are the foothills of the Tararuas. The city itself is built in and around the hills; it has tiny streets winding up and down them in what appears to be a completely patternless chaos. Downtown Wellington is right on the sound, with a beautiful waterfront full of public art and (somewhat shockingly) clean, sandy beaches. 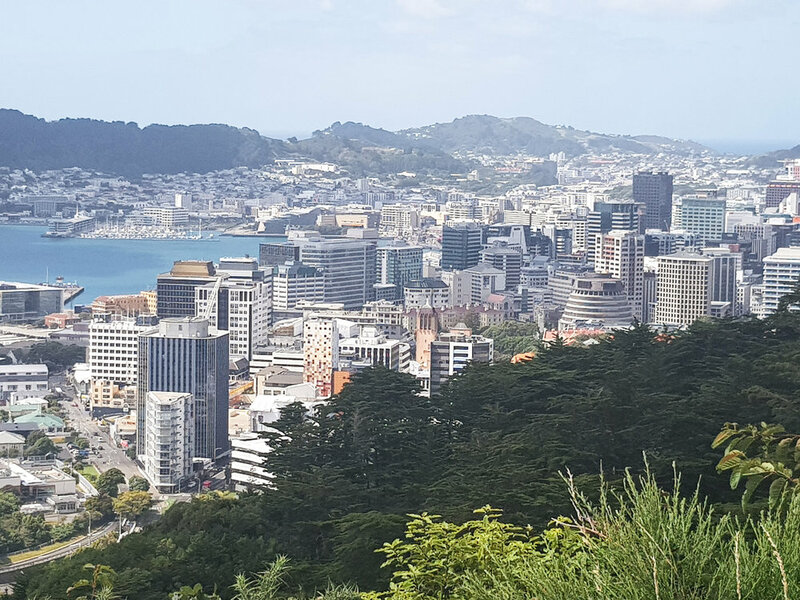 We hiked into Welly, as it is fondly known here, over the top of Mt. Kaukau and wandered through the city's green spaces, walking through the botanic gardens directly down into the city center. The trail passes directly beneath the "Beehive," where New Zealand's government center is housed (look for it in the lower right side of the photo below -- you'll quickly understand the name). We ate delicious Vietnamese food at a place called "Where's Charlie?" After downtown, the trail sneaks back into green space to head up Mount Victoria (where it also passes another LOTR filming location). We loved that even while passing through a major city, the trail was scenic and hilly, but the southern terminus of the North Island was a bit of a weird experience. We descended to a small city park where we wandered around for a bit before locating the tiny plaque signifying that we'd completed the North Island. Not exactly a grand finale... But then again, we still have another island still to go! We finished the North Island! 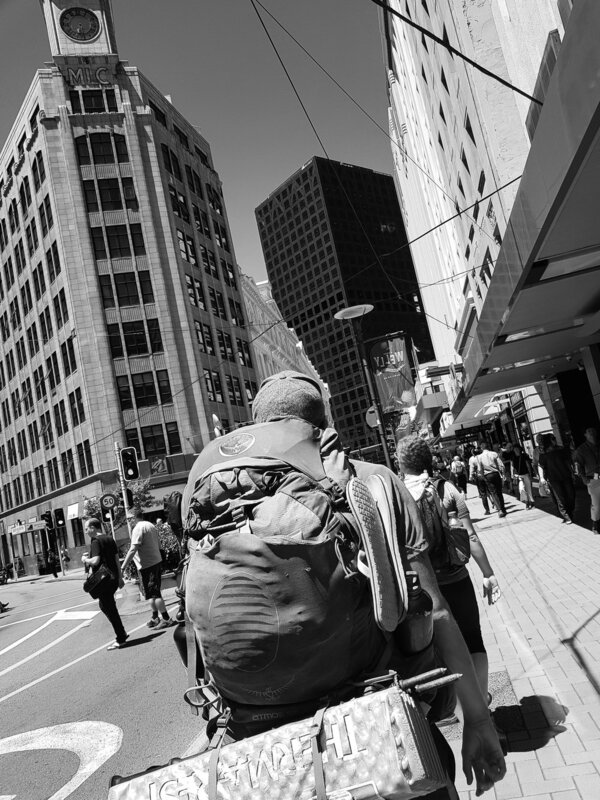 The walk through Wellington was, overall, a completely different experience than hiking through Hamilton or Auckland. There was a ton of green space, beautiful ocean views, and some climbing to break up the day. We finished the day feeling excited to explore the rest of the city and ready for some well-deserved rest.